How can I earn money back on my purchase by referring people to Gather? The first time you place a paid order with Gather, we'll issue you a referral code. 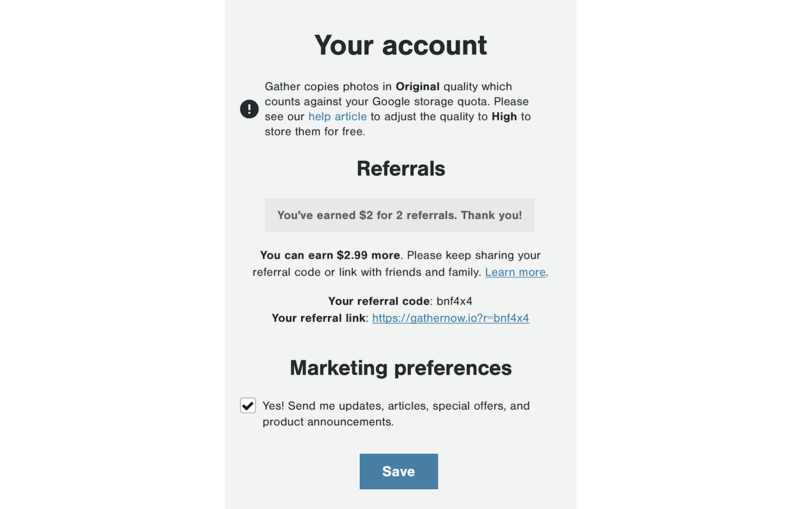 If your friends, family, or colleagues use your referral code when placing their first paid Gather order, you'll receive a $1 refund as a thank you for spreading the word about Gather! You can view your referral details and activity on the Your account screen.